Likely winner “La La Land” is exactly the kind of movie that Oscar voters have loved since the awards were first handed out. “Lion” is a universally life-affirming story that happens to have Harvey Weinstein, who will stop at noting for Oscar gold, behind it. “Hacksaw Ridge” snuck in there thanks to Mel Gibson’s manufactured “comeback.” And “Moonlight” is simply marvelous. But it is “Manchester by the Sea” that I keep going back to in my mind. What can I say? I have a soft spot for people shouting “it’s not a shahk!” in a Boston accent. The dance numbers in “La La Land” are bright, elaborate, and bubbly. The vision of L.A. feels like a fantasy, but with the reality that you have to network for every job you get. I don’t know how Damien Chazelle did to be this talented at just age 32. I always forget just how extraordinary Denzel Washington is until his next movie comes out. 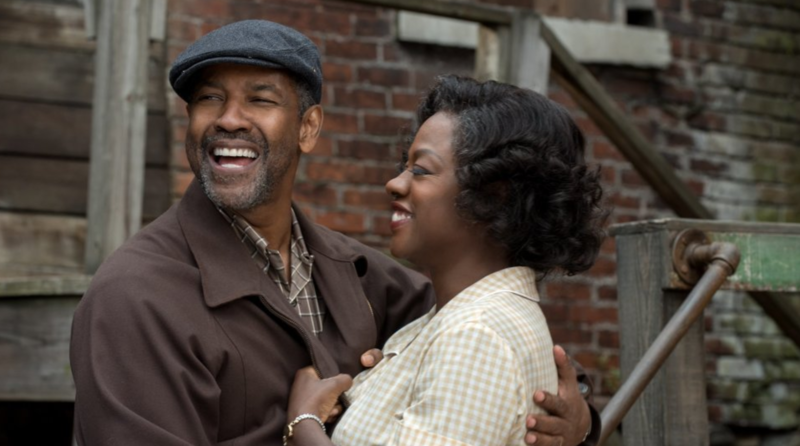 You’re never exactly supposed to like his character in “Fences,” but the whole time, it feels exactly like the role he’s been training for his whole life. “Jackie” would be nothing without Jackie Kennedy, or, really, the woman who plays her in the movie. Natalie Portman brings life and depth to a woman that many people know simply through footage shot by Abraham Zapruder. As a life-long “Lebowski” fan, I have a soft spot for Bridges, but he is particularly great as a Texas sheriff on the edge of retirement in “Hell or High Water.” Bridges already won his “Sorry We Didn’t Do This Earlier” award for “Crazy Heart.” It should’ve been for this performance. “Manchester by the Sea” subtlety pulls off the most tragic movie twist in years. The fact that it dangles in front of your face unnoticed for a majority of the movie is a screenwriting miracle. There’s been confusion as to whether “Moonlight” is adapted or not, but that barely matters. The deeply personal “Moonlight” is going to be remembered for ages, long after the Oscars ceremony ends. Here is a story that doesn’t try to be universal, and yet will touch just about any soul. No matter what happens in this category, Disney will come out the winner, but the odds seem to be in favor of “Zootopia.” As good as “Zootopia” may be, I don’t think it holds a candle to “Moana,” a quietly revolutionary Disney princess tale that has some killer original songs. And, had this not been the year of “La La Land,” then Lin-Manuel Miranda would have walked away tonight as an EGOT. Given that our current president is a former reality show star, the line between politics and entertainment no longer exists. That is why it is especially surprising to see that “Weiner” was snubbed. However, this category is not light on heavy hitters. “13th” could completely change your worldview. Meanwhile, “O.J. : Made in America,” is just plain masterful. The multi-part series dove deeper than you could ever imagine into well-worn territory. “Made in America” dives deep into the racial and social implications of America’s most famous murder trial. While the likely Best Picture winner won’t be political in any way, the documentary pick will be. “Made in America” shows that pop culture and politics have always been intertwined.